This is by far the most comfortable motorcycle jacket that I've ever owned. High quality Velcro everywhere no awkward press studs with superior build quality. Fit is short but I'm 6"3 and have no problem at all in any riding position. The neck is cut low so no pressure on throat. It's actually more comfortable than anything motorcycle related I've ever had and adds to the sense of freedom. 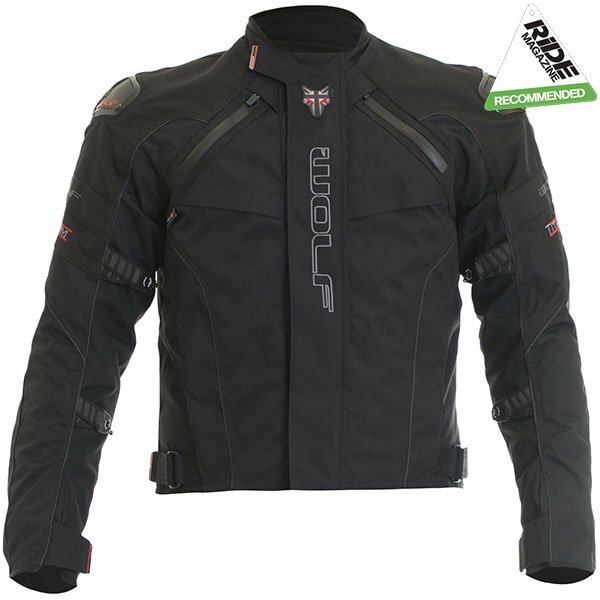 Materials used are top drawer and the jacket offers superior protection in all weather conditions. This jacket impressed the moment I got it out of the bag. It looks and feels like a quality item. 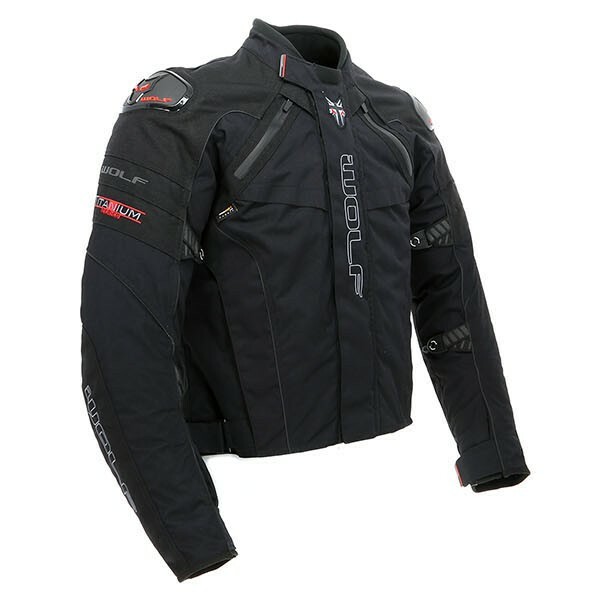 The thermal liner is zipped in at both cuffs not just a loop and button like some. Great detailing on the back. Good armour protection all round. The fit is good. Several vents. I am quite happy and at half price even more so! Only neg point; the side pocket zip could be a little longer for big hands, otherwise go get this jacket!? Have been looking for a short jacket for the summer. This was a bargain price so thought I'd try it. Really impressed with the quality and has really good elbow, shoulder and back protection. Removable inner so will be perfect for summer. Top quality, runs way small, too short. High quality, well made jacket. Top shelf design. Looks like it would have been a great jacket except it didn't. About two sizes too small, too bad. I had wanted one for years, Sportsbikeshop had a great price. My husband bought this jacket for me and it fits great. I'm a size 12 and the Small size fitted perfectly when I tried it on in store. 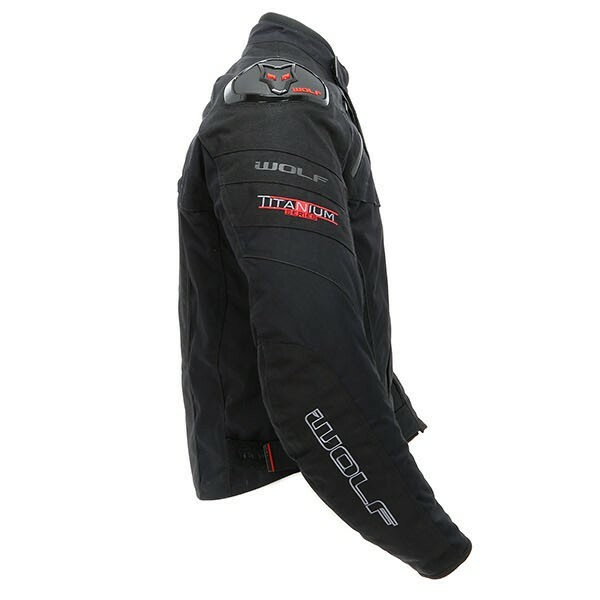 It is very comfortable with a fully removable liner, good sized pockets, good ventilation and so it can be worn year round. The protection feels substantial but still comfortable. The collar is quite low cut so for riding in cooler weather you'll need a neck buff. The material feels tough and durable and you can see it's very well made with good attention to detail. Fantastic value jacket and highly recommended for men and women. Excellent quality, comfortable, works as advertised, would recomend to anybody, i have the complete suit and it is all that i hoped for, and at this price you cant go wrong. I would also like to add that the service from this company is second to non. Great looking jacket. Good armour and great back protector. Jacket is on the sport side of things so is short....come to about my trouser belt so just about ok. Excellent product at a great price I have now purchased the matching trousers which go together great. I have still to use them in the wet but I'm sure I won't have to wait long. 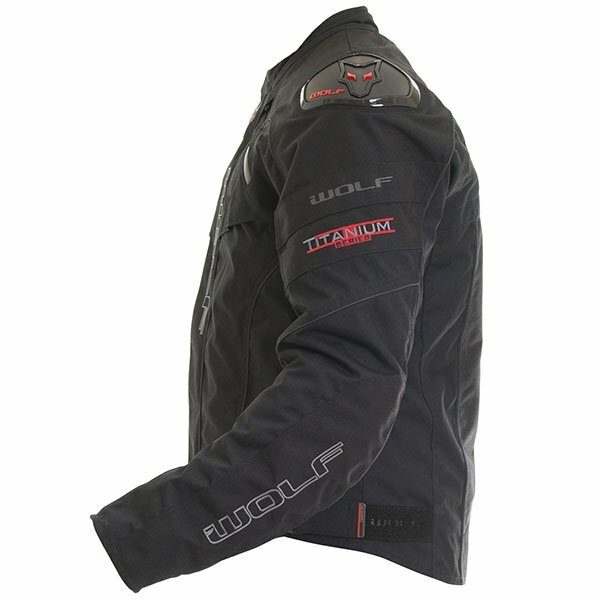 The Wolf Freestyle II jacket is fitted with an XTR ultra high performance waterproof and breathable membrane along with a removable quilted thermal lining. 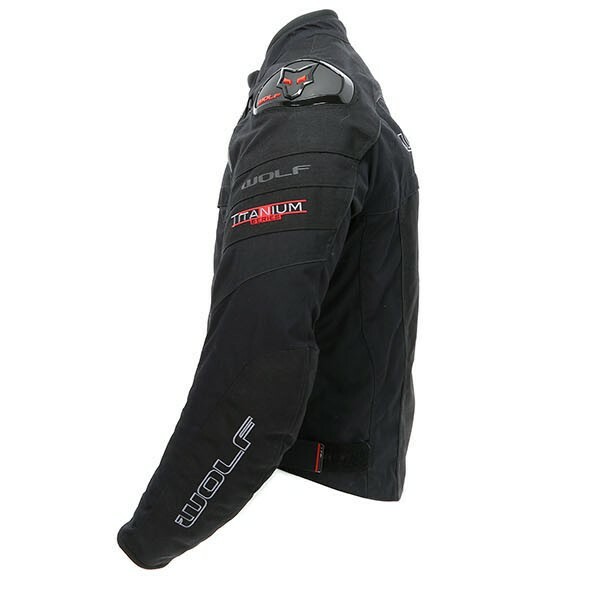 This jacket has a full length heavy duty Max zip enabling you to connect to different sized jeans. 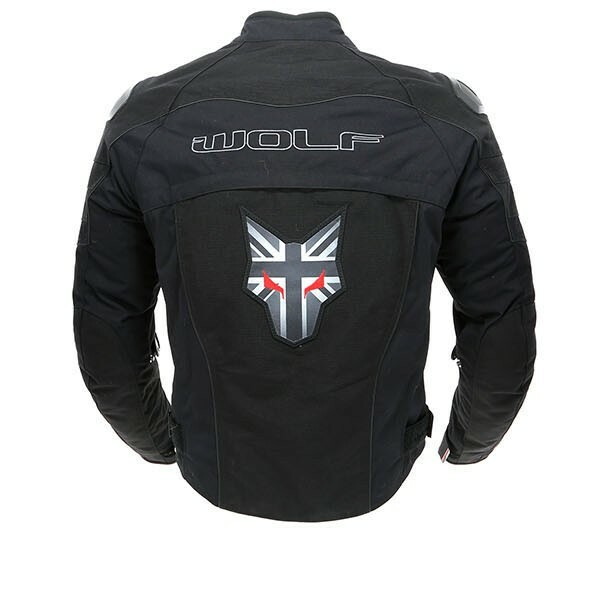 Since 1969 the entire Wolf motorcycle clothing collection has been designed and developed in Derbyshire, with every garment subjected to literally hundreds of hours of testing. It's this rigorous testing process that helps to ensure that the brand always exceeds the expectations of even the most discerning biker. 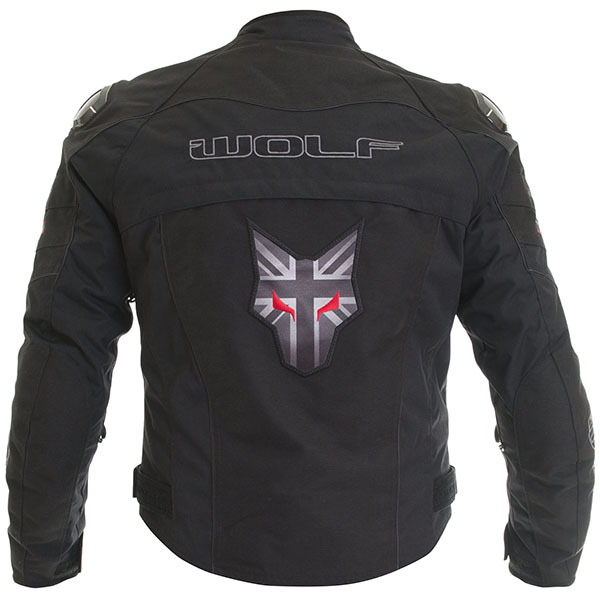 Wolf are always on the hunt (forgive the pun) for the latest materials, such as Kangaroo hide, in an effort to improve the product, and ultimately, to improve the riders experience. The range also features other cutting edge materials such as Superfabric, Outlast, and Sinaqua waterproofing. Classic, almost simple in it's design, Wolf clothing continues to impress every season by continually innovating, yet maintaining it's signature style. Can you tell me if the max hd 360° zip to trousers would connect to RST textile trousers using the 360° max zip. Many thanks. 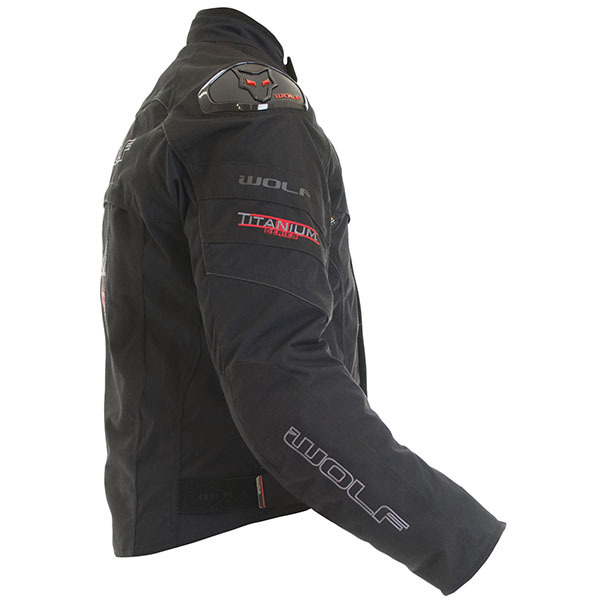 Wolf and RST zips are compatible, as long as the RST trousers are relatively modern. Hi, Can you please tell me if it has 4 pockets ie; 2 on chest and two low down on each side ? Thanks. Steve. 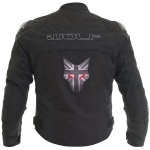 The Wolf Freestyle II Jacket has two zipped lower external pockets on the front and one zipped chest pocket on the left next to main central zip. Internally there are two pockets, one either side with the left side pocket suitable for a mobile phone.